Very few of us are aware of the rubbish that we throw away on a daily basis. The plight of the eco-warrior remains unheralded even after the glaring effects of climatic changes around the world continue to warn us. In his documentary, “Before the Flood,” Leonardo DiCaprio travels around the world documenting the effects of our careless waste disposal methods among other things that impacting global change. The documentary was a depiction of the dishonorable manner in which we are crippling the continent. Responsible rubbish disposal and minimizing the amount of waste you throw away may seem like an overwhelming task; until you get an idea of how much you contribute to the waste problem. A survey done in a suburb in North London found that residents in the neighborhood throw away at least 5 times their weight each year. If you think about it, you probably are doing the same numbers or probably go beyond this. Even though it was alarming for the residents to learn about their rubbish problem, the guilt was followed by frustration. There seems to be very little to do that will change the cycle. One of the main reasons it would be hard to change from throwing away 5 times your weight is because half the time you are left with no choice. As much as 50% of the waste from households comes from packaging. Plastic packaging is notoriously the most used type and no one can blame you for liking products with laminated wrapping more; after all, it keeps the contents together even after unwrapping. Over the holidays, this number skyrockets as people are cooking more, wrapping and unwrapping more, and buying even more. The downside of it is that while plastic can be recycled into plenty other things, it is not the easiest material to recycle. Besides, manufactures dealing with rubbish removal are avoiding plastic waste since it produces fumes that are too toxic. 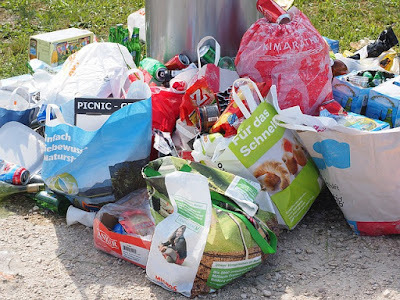 Recycling plastic waste costs a lot if you are focusing on the short-term, which is another reason most companies will keep away from plastic waste at whatever cost or go for burying or burning it. However, in the long-term, it saves hundreds of dollars per ton. Besides, it lessens the need for raw materials in manufacturing. If you look at the contents of your bin with a keen eye, you will feel compelled to make a change. Just by observing how much waste ends up in there in a week, you will get incentivized to slash the amount of waste around the house. The first thing that needs a change is buying habits. You can choose to go for recyclable packaging when buying and swapping plastic products with other materials whenever possible. The other aspect of it is replacing all the plastics around the house with bamboo and other safer materials, all through the house, from toothbrushes to cotton buds and plastic pegs. In many places, rubbish removal is adopting a new approach that ensures people switch from excessive rubbish disposal to a minimum that is manageable. City councils as well as rubbish removal companies are incentivizing residents to watch how much they dispose. In one part of London, the city council rewards residents with tax cuts for their responsible garbage disposal habits. In other instances, residents pay a rubbish removal company to collect their recyclable waste and sell it off as compost. 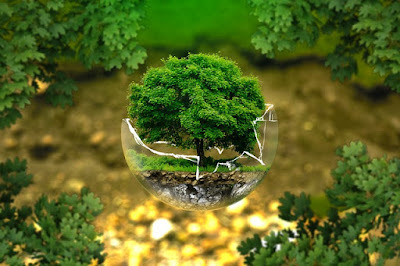 At Clearabee, there is a dedication to positively impact the world around us. Clearabee has adopted practices that help the community around it manage waste better. They are able to deal with any type of waste from both the commercial and household settings. For most people, the biggest hurdle that stands in their way while thinking about changing is the change of lifestyle. However, as you will come to notice, you can actually find a lot of ways that won’t need you to miss out on your favorites in the store. Clearabee is also there to support client moves toward curbing the waste problem and offer good advice about simple methods of keeping your environment cleaner.